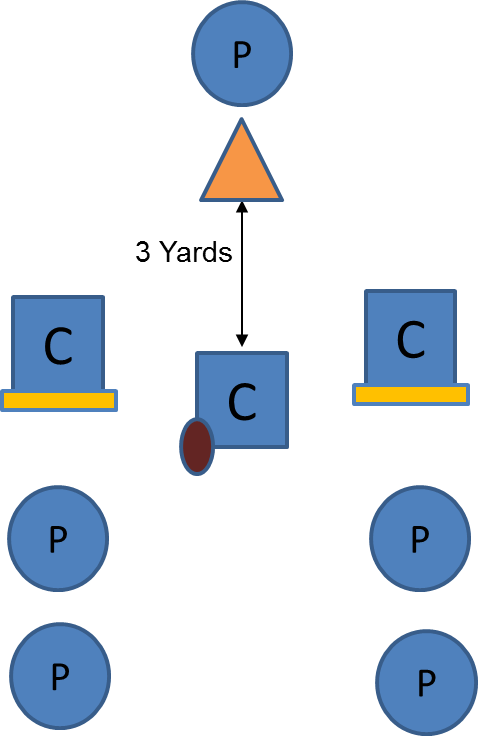 In our last blog post we shared a drill we call Slow Stalk Block that we are planning to use this coming season to help teach our Running Backs and Receivers how to properly execute a Stalk Block. 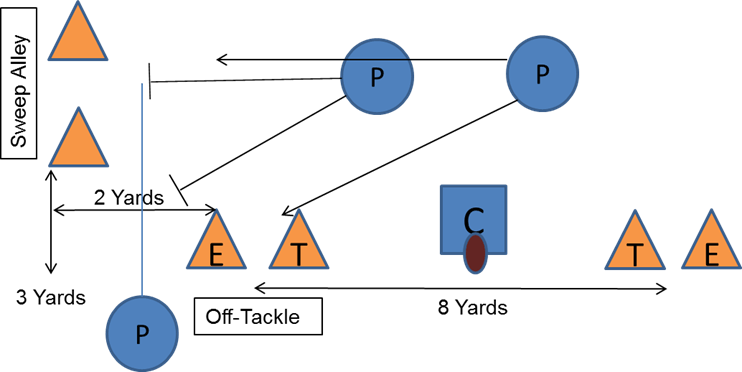 In this post we are going to share an Offensive Line drill we like to use for our Power Plays called Block the Backer. The purpose of this drill is to make sure that our Pullers are finding Linebackers and making contact. Line 4 cones slightly angled downfield with a lineman in front of each. Place two cones 3 yards deep in front of center representing a Linebacker. The Linebacker stands in between the cones. 1 Line. 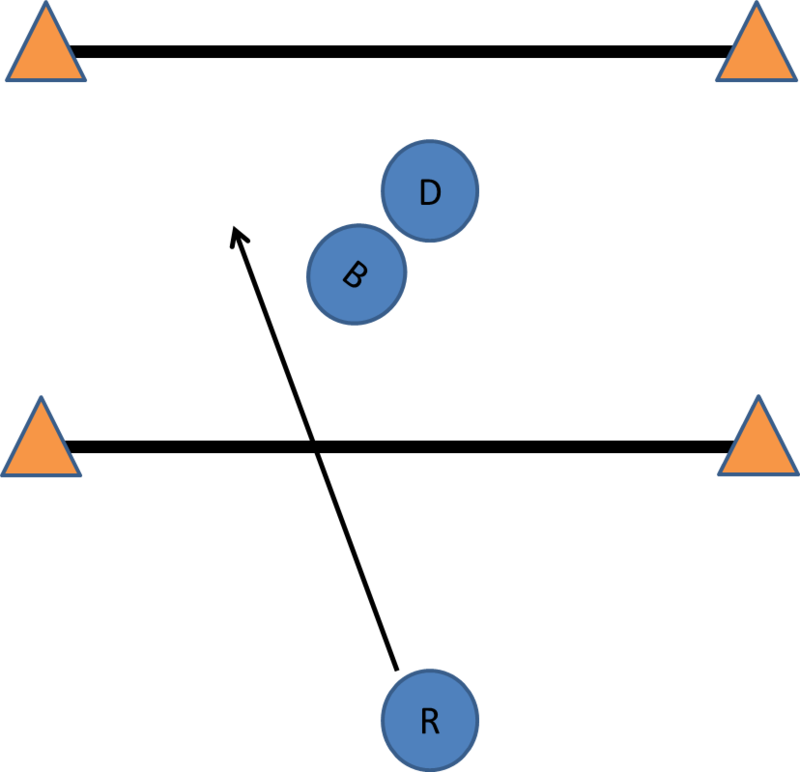 Rotate LB to Drill Line. Drill Line to Center. O-Line shifts one position to the right with PT becoming the LB. 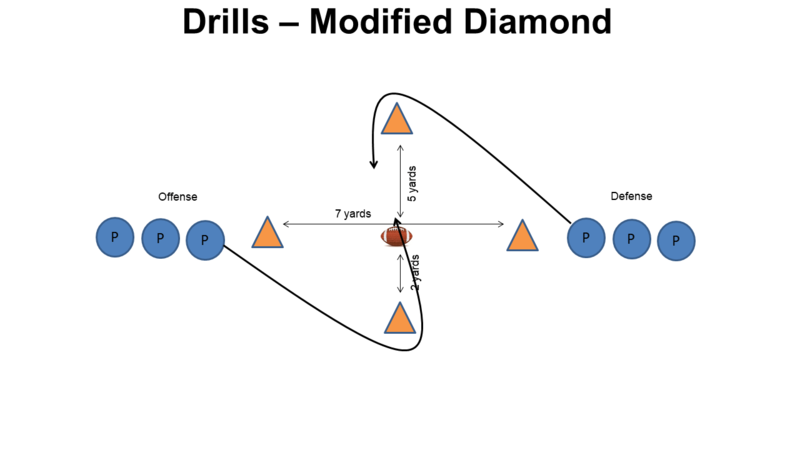 Note: This drill is setup for an unbalanced line with the playside Guard pulling. It can easily be adapted to a balanced line with the backside Guard pulling. 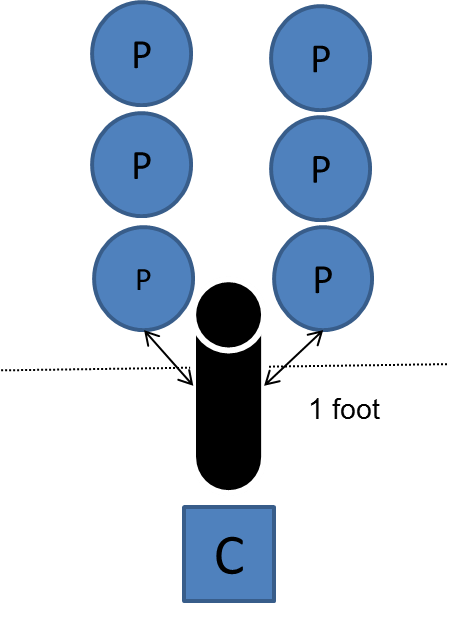 At the snap of the ball the Puller (G) must pull down the line. The linebacker must try and tackle the dummy and the Puller (G) must get around the corner to block the Linebacker. 6 inch first step with right foot at 2 o’clock. Good rip with outside arm. Spy the linebacker getting head to touchdown (outside) side. If you are looking for additional Offensive Line Drills for your youth football team, we highly recommend, that you take a look at Coach O’Gorman’s How to be the Coach Your O-line Deserves clinic. 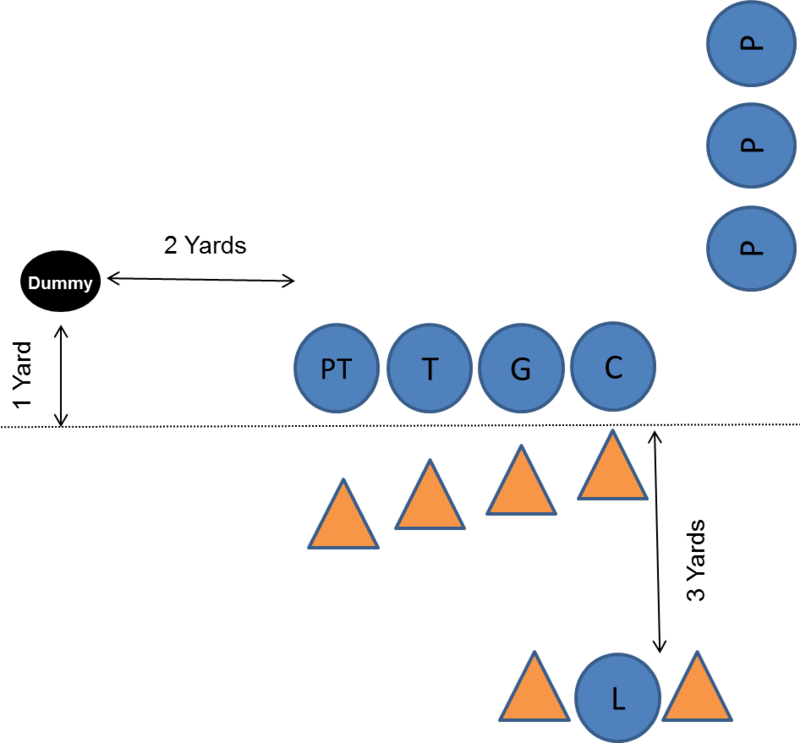 Inspired by Coach O’Gorman’s Offensive Line Drills we have come up with a Running Backs Drill called Slow Stalk Block. 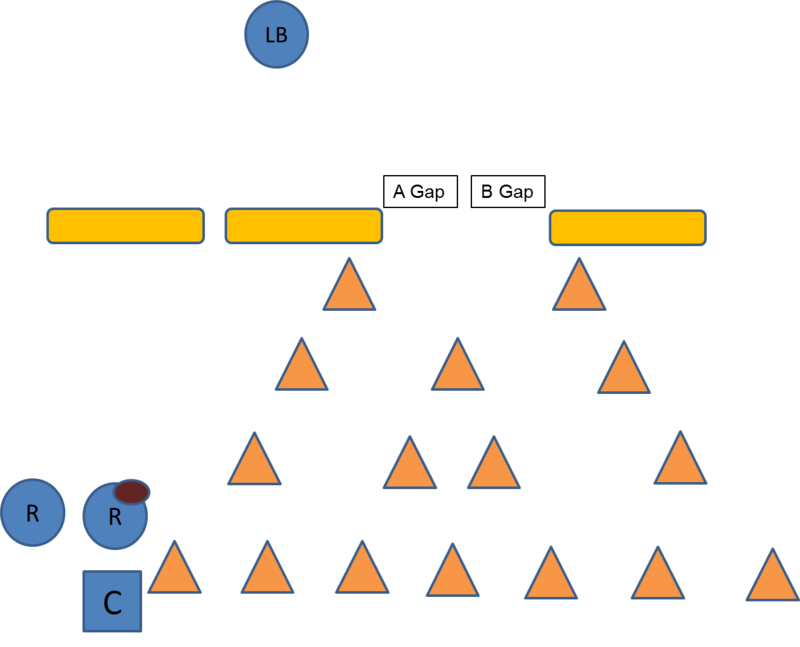 The purpose of the drill is to not only re-enforce our Stalk Blocking technique, but also to teach the Running Back to read the block. 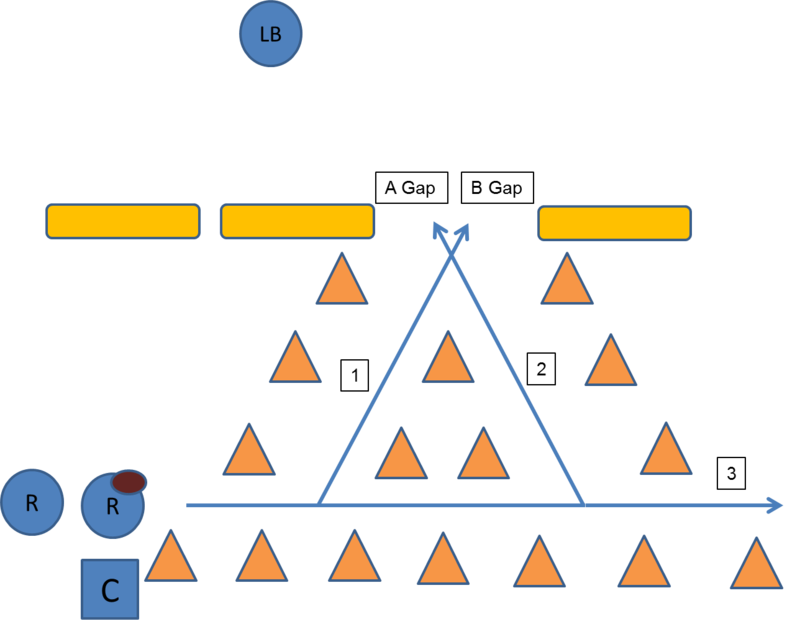 It’s a competitive drill that has both a winner and a loser. 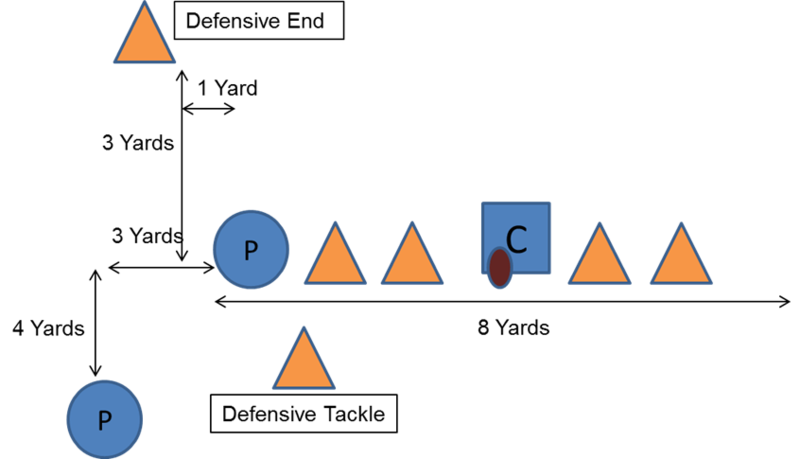 The Blocker and Defender line up 3 yards apart in the center of the rectangle with the Runner 2 yards behind Blocker. The Blocker approaches the Defender lowering his hips and keeping his head up while keeping the Defender from going where he wants to go. The Defender is trying to tag the Runner. 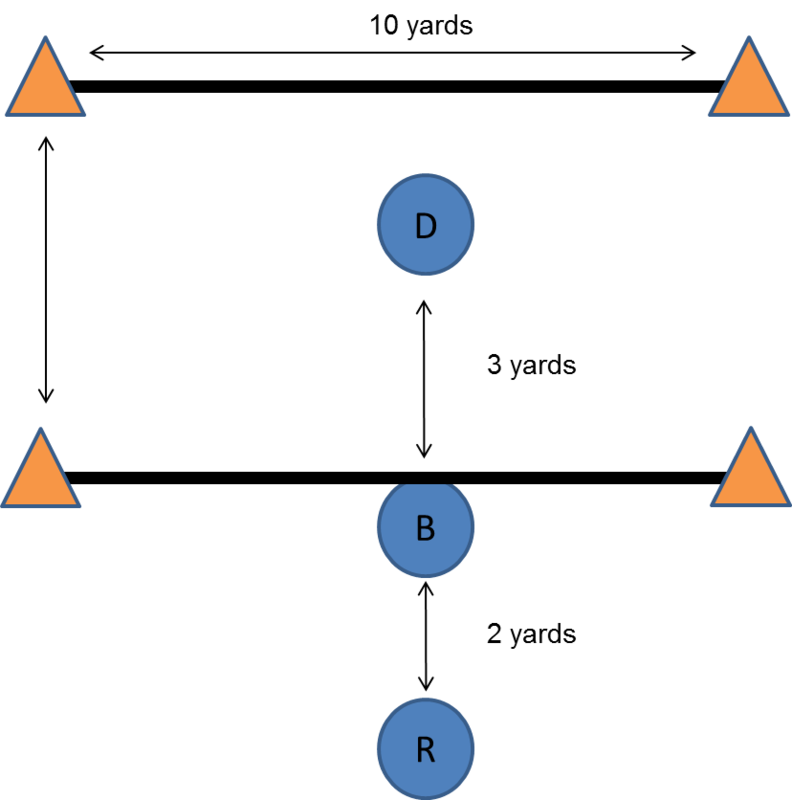 The Runner walks toward the end line reading the block and must stay within the rectangle. (Note: Walks to the side of the Blocker’s rear end). If the Defender makes a definitive move in one direction, the Blocker should attempt to keep taking him that way.